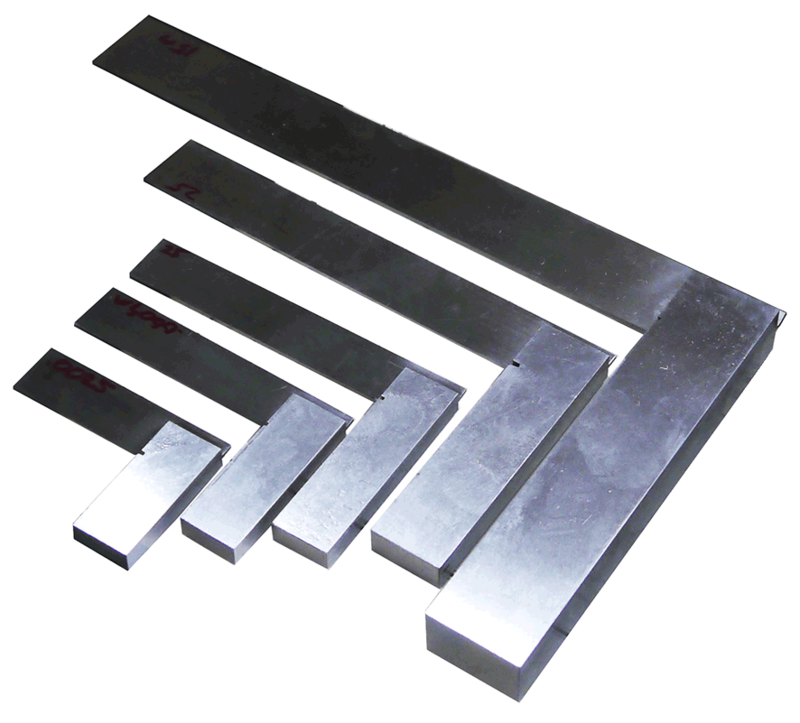 4", 6", 9" & 12" machinist squares. Tolerance on 4" and 6" (.003). Tolerance on 9" & 12" (.006). Some squares are marked with the tolerance number on the square itself.